This MSc in Business and Organisation Strategy is a part-time programme, providing critical and applied study of modern management theory. With a focus on practical learning and application, the curriculum is designed to build on the current work experience of the students. This programme works alongside the key elements of the Chartered Management Institute (CMI) and generates the CMI Level 7 Extended Diploma in Strategic Management and Leadership (QCF). Access to the exemption route to CMI Chartered Manager status is given upon completion of all programme elements. To be eligible for this programme, students must have an honours degree with classification 2.2 or better in any subject from a UK university or the equivalent from a recognised university overseas. 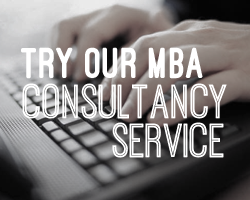 Fill out your details to find out more about MSc in Business and Organisation Strategy.